PALM BEACH, Fla. — The United States blasted a Syrian air base with a barrage of cruise missiles Thursday night in fiery retaliation for this week's gruesome chemical weapons attack against civilians. 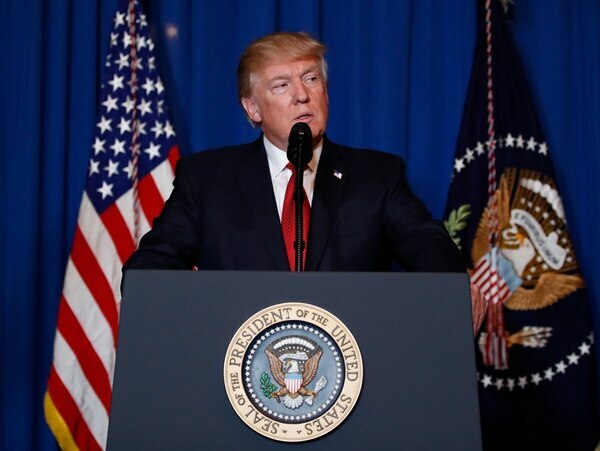 President Donald Trump cast the U.S. assault as vital to deter future use of poison gas and called on other nations to join in seeking "to end the slaughter and bloodshed in Syria." 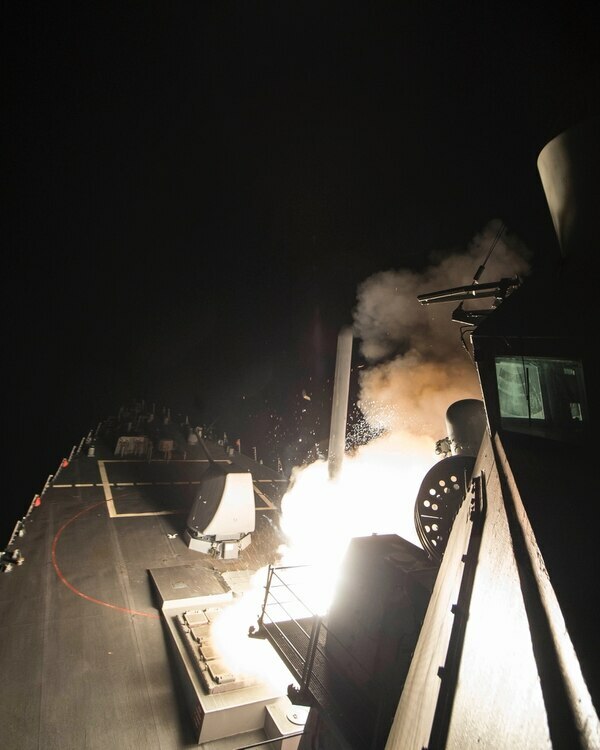 Navy destroyers USS Porter and USS Ross carried out Tomahawk missile strikes against Syrian airfields on April 7, 2017, while in the Mediterranean Sea. The U.S. strikes — 59 missiles launched from the USS Ross and USS Porter — hit the government-controlled Shayrat air base in central Syria, where U.S. officials say the Syrian military planes that dropped the chemicals had taken off. The U.S. missiles hit at 8:45 p.m. in Washington, 3:45 Friday morning in Syria. 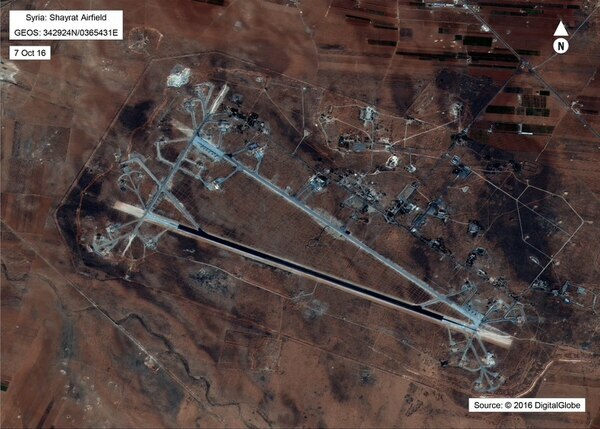 The missiles targeted the base's airstrips, hangars, control tower and ammunition areas, officials said. The attack killed some Syrians and wounded others, Talal Barazi, the governor of Syria's Homs province, told The Associated Press. He didn't give precise numbers. President Trump addressed the nation Thursday night from Mar-a-Lago, a resort he owns in Palm Beach, Florida, regarding the 59 Tomahawk missiles launched from two U.S. Navy destroyers into Syria. The USS Ross (DDG 71) fires a tomahawk land attack missile Friday, April 7, 2017, from the Mediterranean Sea. Destroyers USS Porter and USS Ross launched Tomahawk Land Attack Missiles from the Mediterranean Sea against a Syrian airfield on April 7, 2017.